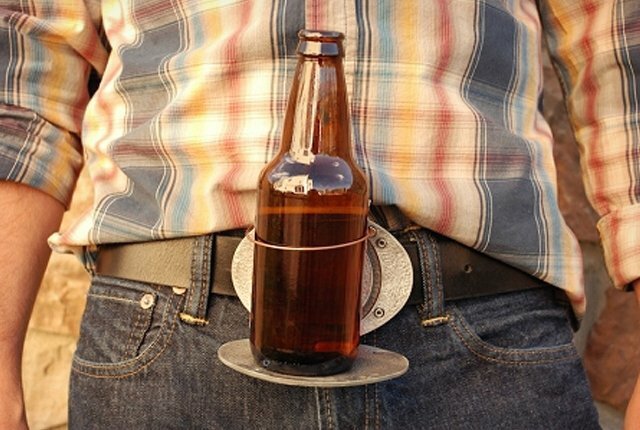 "The BevBuckle is a way to hold your bottle or can hands free with STYLE! Made out of solid Zinc Alloy, when you fold down the face plate, a spring loaded copper ring springs up, stops and stays in place to slide your beverage through and hold hands free!" Did anyone see this on Shark Tank? I am surprised it made it to production. I can't imagine the guys at our tailgate using one of these.